We're wrapped on the interviews! 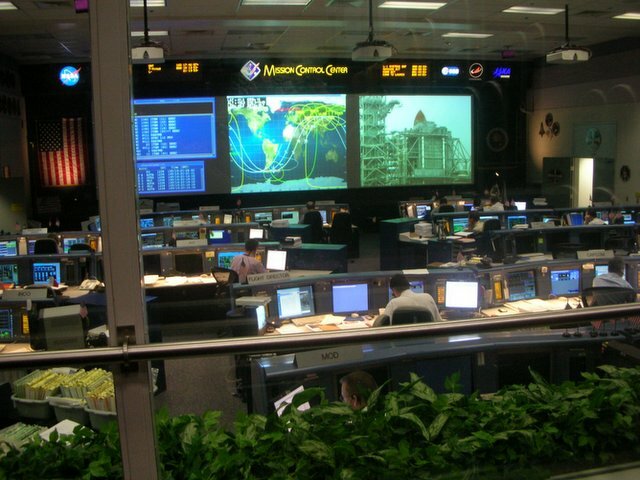 Here's the view from the back row at Johnson Space Center last Wednesday. 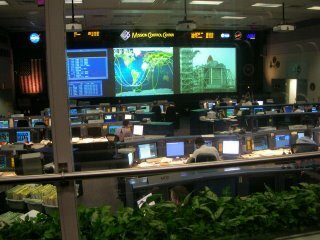 This is one of two Flight Control rooms...the one accross the hall is running the International Space Station, this one is for the Shuttle. In fact, the staff on duty here is debriefing after a simulation for the upcoming July 1 launch. And now, we are WRAPPED on the interviews for our next program...the title of which is still under debate. The subject is the Apollo project, and the contention by some conspiracy theorists that they were faked. More than that I can't say, but this one will be a real barn-burner...in part because of our host. He will remain anonymous for a bit longer, but I can say that I've had a great time talking to "Hoaxists," scientists, engineers, Flight Directors, and even an astronaut. The final transcripts landed in my box this week...no more excuses! First draft is due in a couple of days! Woo hoo!